Welcome to our office! 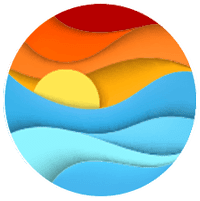 As the Office Manager, I will be working very closely with you, the doctors and staff to ensure that you are absolutely satisfied with your visit. I graduated from the University of CA, Berkeley, with a degree in Nutrition and Food Science with an emphasis in Clinical Dietetics. After dedicating many years working with patients, I redirected my energy, went back to college and received my MBA in Healthcare Administration. 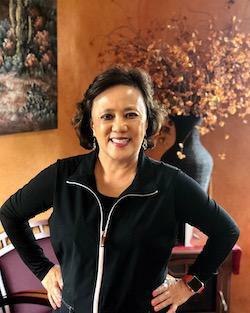 Traveling throughout the United States, I worked as an Account Executive and Lead Trainer for the State of CA, Delta Dental, Mobil Oil and multiple law firms before I decided to devote my attention to raising my two children and staying closer to home. I’m a big sports fan of the Golden State Warriors and Pac-12 sports and even have two cats named Steph and Curry. 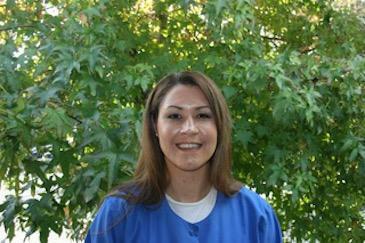 Hi, my name is Chandra, and I'm a Registered Dental Hygienist here at Pinole Family Dental. Not only am I an employee but I have been a patient here since I was 13 years of age. In fact, my entire family, including my nieces, nephew and daughter are all patients here! Prior to becoming a Dental Hygienist, I served in the United States Navy from 2000- 2004. 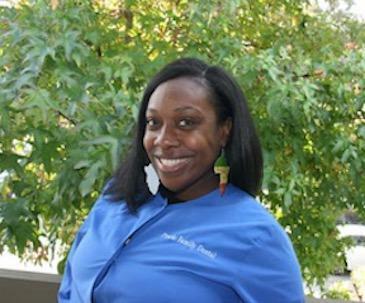 After completing 4 years of service, I decided to change career paths to study Hygiene at one of the most highly accredited dental hygiene schools, Diablo Valley College in Pleasant Hill, CA. I'm looking forward to meeting all patients and providing the best service possible. I will make it my personal promise to strive for excellence in your favor. With a background in advertising, marketing, and public relations, I began my career as a Registered Dental Hygienist in 1995. I first came to Stokes Dental Care for a one-day temporary position as a favor for a friend. That one day evolved into working fulltime for eighteen years and I continue to serve our wonderful patients under Drs. Mandi & Marc Chinna’s leadership at Pinole Family Dental. I have been a Dental Assistant at this practice for the past ten years. I have always enjoyed working with my patients and making them feel comfortable. My father always told me to "find a career you love and you will never have to work again." That's how I feel about coming to work!. When I'm not working, I enjoy dancing, decorating for parties, event planning and spending time with my children. 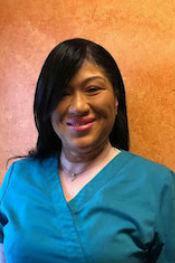 A Registered Dental Assistant for over 20 years, I enjoy working with patients of all ages. I love to make people feel comfortable and have been told that I am really good working with people with dental anxieties or phobias. I hold a Bachelor's degree in Health Care Administration. In my free time, I love cooking, spending time with my children, snowboarding and traveling to exotic places...whenever I can find time to do so. 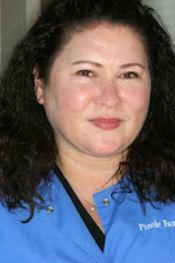 I have been a Registered Dental Assistant for 30 years. 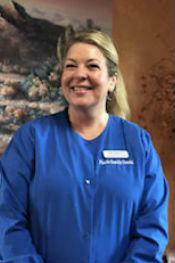 My goal is to give our patients a calm, caring atmosphere. Their comfort and well being are my main concerns. I'm so thankful to be part of a team where patients are treated with respect as people, not just teeth. In my free time, I enjoy hiking, biking, kayaking and camping. I was born and raised in the El Cerrito/Richmond area and graduated from El Cerrito High School. After high school I attended San Francisco State University and received my Bachelors of Arts degree in Consumer Family Studies. Following college, I went through the Executive Training Program at Macy’s in San Francisco and thoroughly enjoyed a 10 year long career as a Merchandise Manager and then Buyer. Married in 2000, I left Macys to be a stay at home mom to my 2 sweet boys. 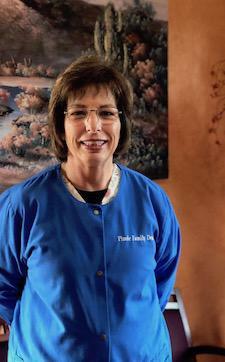 After my husband’s sudden passing, I attended DVC's Dental Hygiene Program and pursued my career as a dental hygienist - what I always wanted to do! I graduated from Sacramento State University with a Bachelor of Science degree in Heath Science in 2013. I always knew I wanted to work in the health care field. 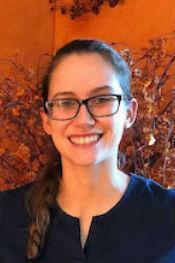 One day, after graduating college, I went to get my teeth cleaned and was inspired by my childhood hygienist to apply for dental hygiene school. 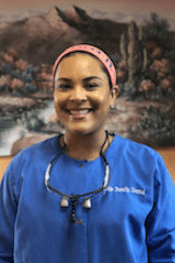 After attending DVC's Dental Hygiene Program in 2017, I started my dental hygiene career. I have a huge heart for travel (I caught the travel bug! ), and have enjoyed traveling to new places like Portugal, where my family is from. I am proud of my Portuguese and Black culture. I also enjoy spending time with my family, friends and my YorkiePoo "Brody." I graduated from Diablo Valley College’s Dental Hygiene Program and have been a Registered Dental Hygienist since July 2017. I love to spend time with my large Portuguese-American family. In my spare time, I love to read, spend time with my Doberman named Whiskey, and relax at home with my husband. I just got married in November 2018 and I’m excited to start a family soon.